A box of 100 x C6 A6 size manilla board backed envelopes, 457x324mm. Classified by royal mail as a standard 'letter' size, these envelopes are perfect for sending smaller documents/items through the post or via courier without them getting bent or creased, while keeping postage costs to a minimum. 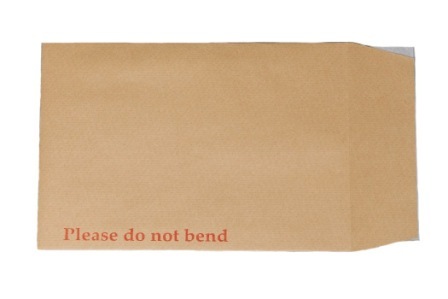 All our board back envelopes have easy to peel 'peel and seel' flaps and are printed with 'Please do not bend' on them.